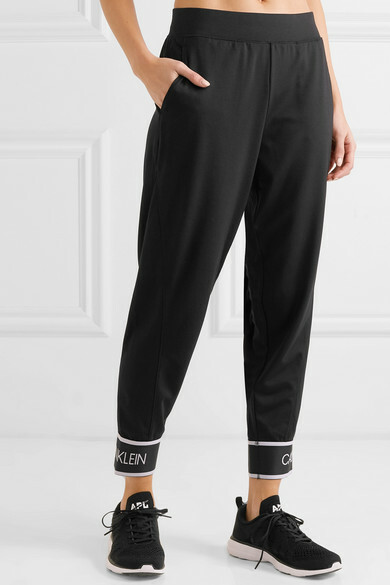 Calvin Klein track pants are ideal for running errands and relaxing on long-haul flights. 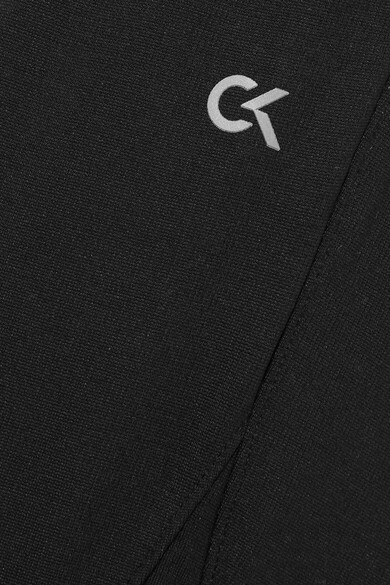 Cut from soft stretch-jersey, this pair is minimally detailed with the label's 'CK' logo at the pocket and moniker woven into the cuffs. Pull yours on with a tee and sneakers. 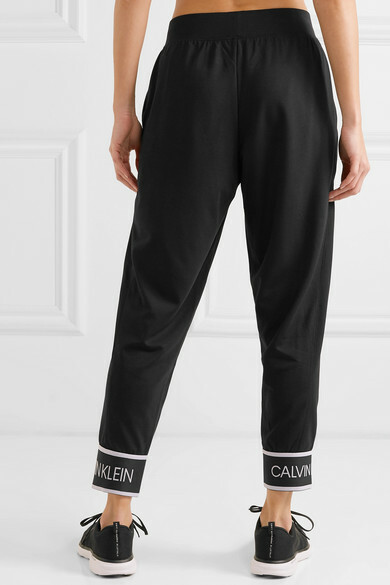 Shown here with: Calvin Klein Sports bra, Calvin Klein Hoodie, APL Athletic Propulsion Labs Sneakers.